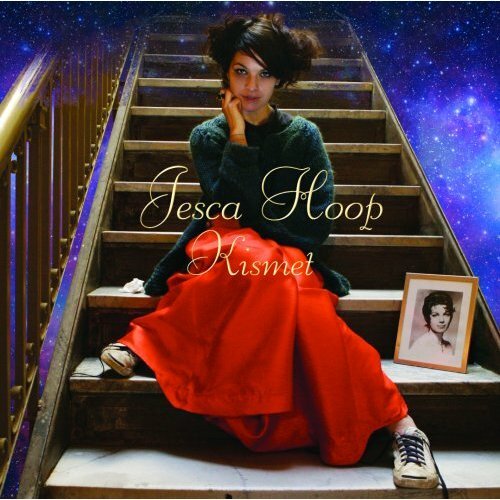 Last month, singer/songwriter Jesca Hoop released her debut album, Kismet, which illustrated the emergence of an exceptionally talented and imaginative musician. Currently on tour with Matt Pond PA, she performs with a three-piece band before audiences upward of 500. “The show is a must-see,” she says, and, based on the quality of her music as well as her artistic fortitude, I’m inclined to take Ms. Hoop at her word. 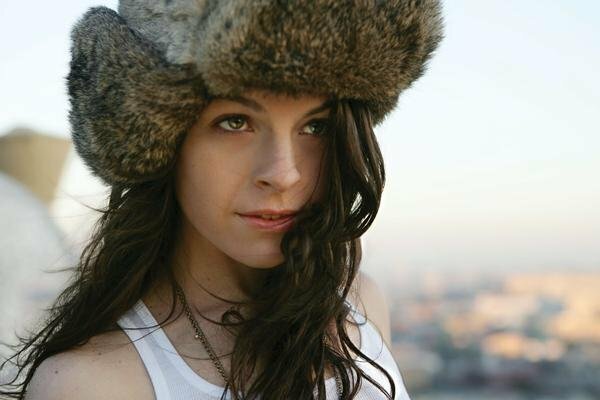 In the following conversation, she speaks about the lineage of musical influence, her curious approach to songwriting, and what Stewart Copeland taught her about the creative process. Are you writing on the road or are you just concentrating on the tour right now? How different is the dynamic in performing the songs than it was from recording them? Very different. The show is still reminiscent of the record, [but] it’s not a carbon copy. When you started with the album, did you have a particular sound that you wanted to project overall? The main criteria were to maintain a true dynamic of small and intimate and then more fantastical. So in order to create more of the fantastic, we tripped the songs to make them a little more rhythm-based. And then [we] indulged in sound effects and things like that. We wanted it to be really playful…I wanted it to be really fun and a cross between traditional and modern. Some of the songs are traditional songwriting and then some of them are more modern in their approach, just in the base of the song. Even the songs that have the effects and more of the enhanced production can be broken down to an acoustic song. You still have the basis of a song there. Yeah, although they stem back to different influences and eras and genres. So we needed to come from an original standpoint with old influences. In particular, on the track, “Out the Back Door,” was there a singular influence on that or was it where you just used a rhythm-based approach, as far as the lyric? Because even the words have a rhythm when you read them. Probably early '20s Jazz, or '30s and '40s maybe, and Hip/Hop. I love that combination. Actually, I wrote it years ago, and then the movie, Idlewild, came out and it kind of reinforced my concept in that arena. I’ve heard that old Jazz [mixed with] Hip/Hop before, but that’s probably where I wanted to head with it. Some of these songs are quite old. And I’ll hear people refer them to other people or compare them to other people when I had never heard these people at the time when [writing them]. You weren’t conscious of them being an influence? Right. I think it’s interesting. I think that maybe we’re more affected generation-wise. That you could be influenced by someone now who was influenced by something further back. We’re all influenced by something further back. Because maybe one person steps out before, we think we’re following that lead, but, rather, we’re working in sync with each other. But I think the general public doesn’t necessarily think that way. Right, exactly. Just because someone starts to use Jazz inflections in their music doesn’t mean they’re following suit, necessarily, with what’s popular right now. It’s an old, old style and something that will live on, possibly, forever. My personal favorite song on the album is “Love And Love Again.” Was it based on one memory or experience or on a culmination of experiences? It was actually a project I did with David Baerwald for a film. And it was based off of the script and the film ended up not being made. Whether it was made or not, we probably would’ve put it on the record. But it was more [for the purpose that] it fulfilled the need of a particular script. The imagery in that is really beautiful. Oh, thank you. That was a fun one. David Baerwald wrote the melody and the music and he needed lyrics for it. He called me up and I was going to drive to his house and learn his melody. I had [a recording of] it in the car and I was going to go over and just record some vocal thing but I didn’t have anything written. But there was so much traffic [in route] to his house, coming from Topanga [Canyon] to downtown Los Angeles; it took about an hour and a half. And, by the time I got there, I had the whole song written because of all the time in between. So when I got there, we were just able to record the song. On “Seed of Wonder,” you got to work with Stewart Copeland. Yes, and [drummer] Matt Chamberlain. They both were on that track. What was Copeland like to work with? If you don’t know the secret of the song, if you haven’t learned it through and through, which he hadn’t when he came in…He was familiar with it but he hadn’t learned all the little idiosyncrasies. It’s kind of a cryptic song, in a way. And so he kind of just dove into it and took over, really. …to get what you want at the end of it. Right. He was like a mad scientist with his kit…I have worked with him one other time and he was really a joy to work with. He’s got an extremely dark, dry, and intelligent wit. We were an odd pairing, for sure. [Laughs] It was really fun. For the song you wrote about Hurricane Katrina, “Love Is All We Have,” was that based on a particular story? Or were you influenced by the whole event and the aftermath? I would go online and pull little specifics out, of things that I could find. Like, the Plow Boys wereto play in town, right around that same [time]. It’s more of a general account of what I observed as the importance of the event, what I brought from it. It was more of a general account. I put it on the record, not necessarily because I thought it was an accurate account or that the song was worthy of being a record of [the event], but more to help bring people’s minds back [to its attention]. But there’s an emotional impact that resonates, not necessarily as a news account, especially when you get to the chorus. Right. I can’t sum [the event] up. I couldn’t try to sum it up, but I know what the basic underlying message is. That’s really the purpose of the song. In reading the lyrics from your songs, they have a flow to them. You don’t necessarily need the music to appreciate the lyrics. I like to approach writing songs like I don’t speak English. And you just like the sound of the words? Yeah, because the sounds change when you don’t know their meaning, necessarily, or if you haven’t used them before. In knowing Tom Waits, was he an influence on the sound of the record or a creative influence? From what I understand, he wasn’t directly involved with the making of the album. As far as his influence on the record, in terms of it being the sound that perhaps came, I think I learned some specifics from him as well as a few others. Kate Bush was one. And Bjork was one. Not in terms of the sounds that they created, but in the way that they created a sound that was specific to them. I think that’s what the biggest influence is…If you were to turn on a song, how can you know who you’re listening to immediately? Not that I’ve necessarily found that at this point, but I have found a few things in the process of making the first record.